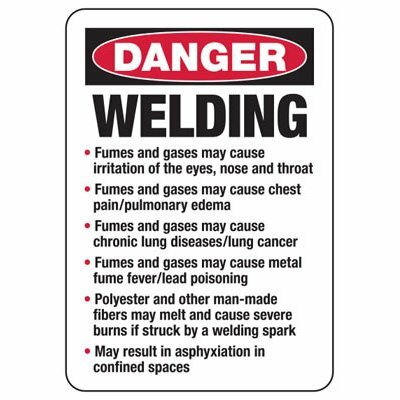 Safety signs are pretty common in most work environments. However, Hot signs deserve a special mention since these nifty devices keep people from getting burns in their workplace. 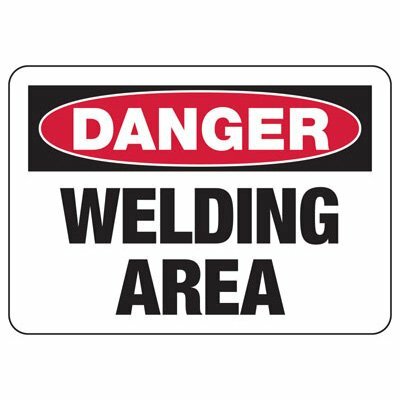 There are a variety of signs available for you to choose from, such as OSHA and ANSI accredited ones, with or without graphics, and so on. There are also choices in the variety of messages that you can pick from. 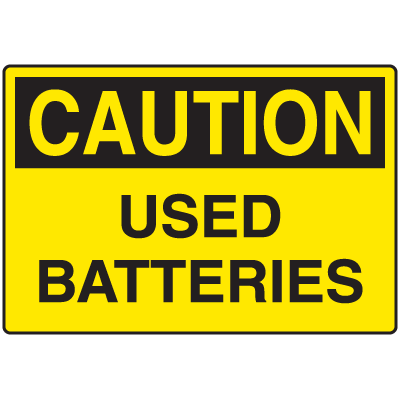 These include Welding signs, Battery Charging Area signs, and Hot Surface signs. 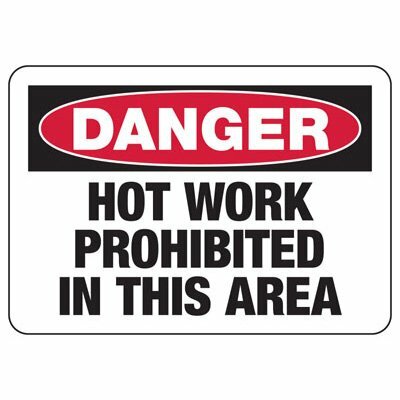 Since these signs may be exposed to hot environments, we also carry various materials such as fiberglass to ensure that the sign will hold up to the wear and tear of everyday use. So don’t hesitate, go check out our signs and be on your way to a safer workplace today. In the hustle and bustle of today’s work environments, it is easy to forget that there are potential safety hazards around us. It can be sometimes hard to tell if a surface is hot or not until it is too late. Thankfully, safety signs such as Hot signs keep people from accidentally getting burned or worse. 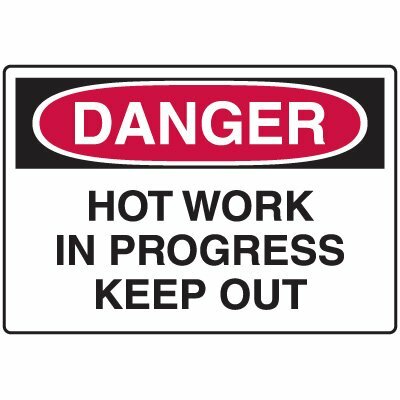 We have a large selection of Hot signs, from OSHA and ANSI to bilingual signs and ones with graphics on them. A variety of color combinations are also available as well as materials to ensure that you get exactly what you need for your workplace. 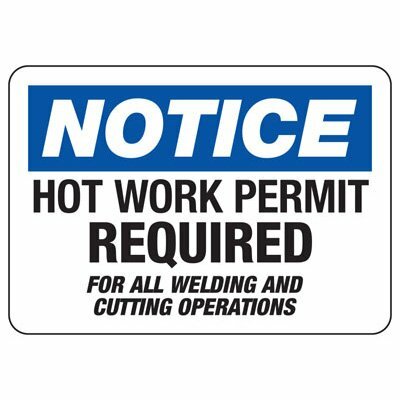 Using these Hot Work signs is pretty simple. Just put these up in a highly visible location, preferably near the hazard. You will need to ensure that it is mounted securely though and that it is away from direct contact with extremely hot or cold machinery to avoid it from warping. After that, all you really need to do is keep it clean and legible and accident rates should diminish considerably. When your sign wears out after a few years (or more) all you need to do is buy another one to replace it.